I love this show. I keep watching for it to be on next. Please bring it back! WHY would you cancel this show???!! Why hasn’t it been on? I don’t watch many shows, but i DO or DID make sure I actually sat down & stayed awake to watch MANIFEST! Everytime I try to Google it and see what’s going on with the show there’s never any word on why it’s not on except for the ratings may have gone down a little bit or whatever! But what’s really going on?? WHEN is it going to be on the again, can some one PLEASE just tell me???? Thank you. Please do not cancel. A decent show the whole family can watch. Love it. 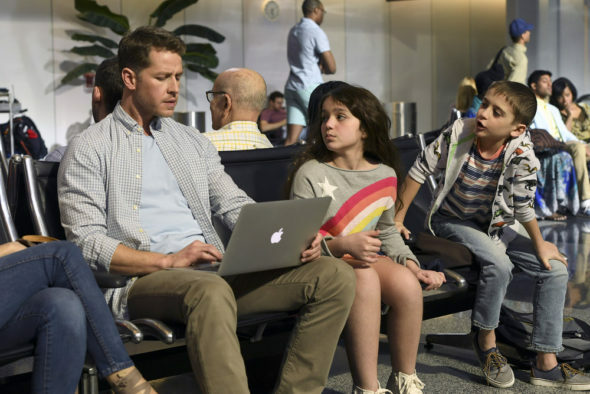 What happened to the show Manifest? My husband and I love this show we have watched it from the beginning and the last night it was on it showed upcoming scene but it’s not been back on I hope it’s not been cancelled it was one of the best shows ever!! We love this show. Please do not cancel. My family love this TV show! Please bring it back!!!!!! My husband and I love Manifest. We hope it is returning!! Manifest loses viewers by stopping and starting the show. The NBC execs are not too bright. People move on when the show is gone . I loved it but we may not come back this time. Please renew for Season 2. I stream and was deflated to know it only had one season to watch. It has been great! FINALLY a main network show that my 17yo old daughter & I (55) are both interested in & want to watch together! That’s rare. Networks are losing so much to Amazon & Netflix, you would think they’d WANT to keep such a good, unique show with lots of twists & interesting characters of all demographics. This has been the ONLY show in a long time that we cannot wait to see each week! There’s only 1 or 2 more eother of us will even watch!